The president’s appeals to the Democrats to end “partisan” probes into his White House, as well as his call for cooperation on border security to prevent another partial government shutdown, met, not surprisingly, with a less than warm response from the other side of the aisle. Soon after the speech, the push for unity quickly gave way to new rounds of typical Washington spite and vindictiveness. “An economic miracle is taking place in the United States — and the only thing that can stop it are foolish wars, politics or ridiculous partisan investigations,” Trump said Tuesday night, referring to investigations into alleged Russian interference in the 2016 election and Trump’s business dealings. On the morning of the day after the State-of-the-Union speech was given, Rep. Elijah Cummings, chairman of the House Oversight Committee, rejected the claim the investigations were partisan. 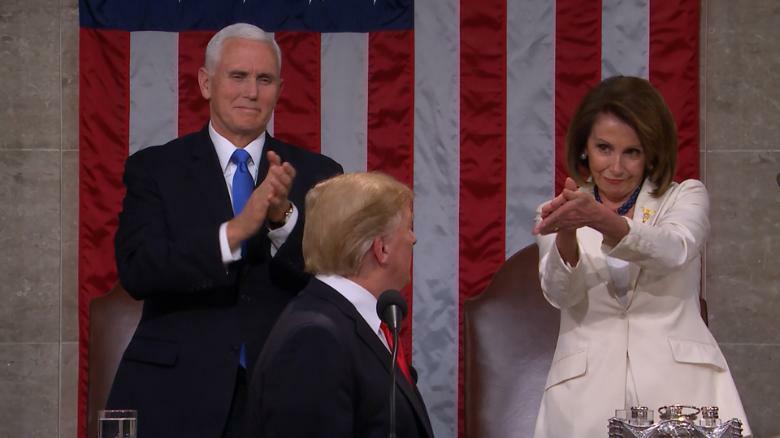 While Trump repeatedly pressed for unity in the speech itself, the president faced accusations from Democrats of undermining that message with fiery rhetoric and a continued push for a border wall the party opposes. The government partially shut down at the end of last year because of a stalemate over Trump’s demand for $5.7 billion in funding for the wall. Trump temporarily ended the shutdown last month but has warned he could declare a national emergency if Democrats don’t play ball. In his address, he renewed his calls for a wall on the border, and for Democrats to lend their support. As expected, Democrats sloughed off such comments with the kind of disdain and disrespect they showed for the president throughout the night, this time by sitting on their hands, which should come as no surprise, because sitting on their hands and asses, while Americans suffer or are under threat, is what Democrats do best.